Another year, another failed attempt to protect a significant chunk of the Ross Sea, which sits off the coast of Antarctica. According to observers, efforts to create the world's biggest marine protected area to date were shot down by Russia and China during a meeting in Hobart, Tasmania of the Commission for the Conservation of Antarctic Marine Living Resources (CCAMLR). The protected area can only be established by a unanimous vote of the CCAMLR's 24 members and the EU. "Since 1959, Antarctica has been recognized as a special place for peace and science. It is regrettable that CCAMLR, faced with objections from China and Russia, cannot live up to that promise," said Andrea Kavanagh with Pew Charitable Trusts. "Another year of inaction means another year that these near-pristine waters and their remarkable biodiversity are open to the threat of industrial fishing." Some observers theorized that geopolitical tensions over Ukraine were to blame for the proposal's failure this year and not the merits of the project itself. 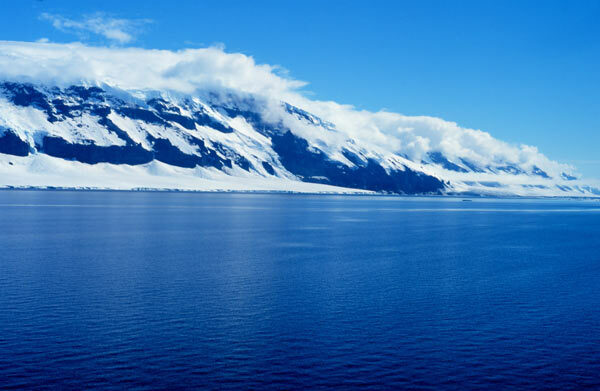 The Ross Sea has been dubbed the "last ocean" due to its relatively untouched conditions. Its waters are home to penguins, whales, seals, and marine birds, including about half of the world's killer whales. However, fishing has been ongoing in the sea for Antarctic toothfish (Dissostichus mawsoni) since the 1990s. These fisheries have proven controversial with many scientists and conservationists, given that almost nothing is known about the species except that it's a slow-growing top predator—capable of reaching 300 pounds—and is often described as the shark of Antarctica. The fish is often sold as Chilean sea bass and is one of the world's most expensive, making it largely available only to wealthier customers. At the same time, fishermen are exposed to hugely dangerous conditions and often paid little. In total the Ross Sea covers 3.6 million square kilometers (1.9 square miles). The current proposal would protect 1.34 million square kilometers (517,000 square miles)—about 37 percent of the total. The proposal would ban fishing from most of the protected waters, but allow scientific fishing in certain areas. It would also have a fifty year ban on fossil fuels and a forty year ban on mining. 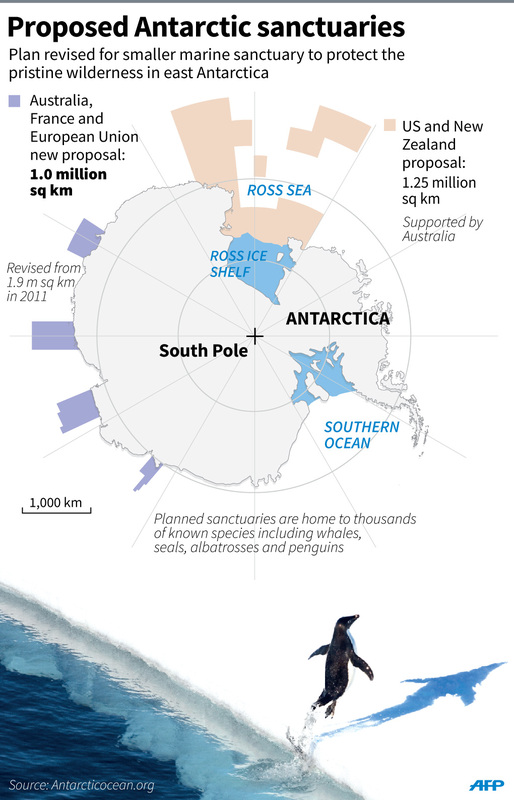 The Ross Sea protected proposal stems from the U.S. and New Zealand, the latter is already fishing in the remote waters. Coulman Island in the Ross Sea. Photo by: Michael Van Woert/NOAA. This is the fourth time the proposal has failed, even as countries have significantly shrunk the size of the protected area and loosened regulations. The Ross Sea wasn't the only loser at the meeting. 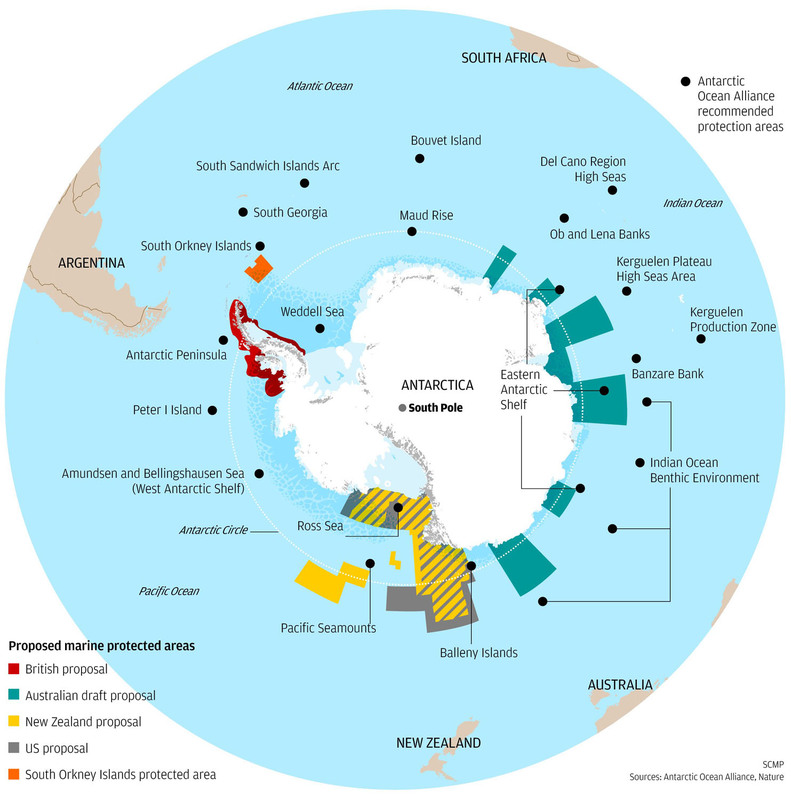 A second proposal for a series four marine protected areas along the East Antarctic coast was also killed. These marine reserves would have covered nearly a million square kilometers (386,000 square miles). The region is also home to an Antarctic krill fishery. Although krill are the base of the marine food chain, these tiny crustaceans are fished for Omega-3 supplements and fish food. The one bright spot in the meeting, according to Kavanagh, was further restriction put on the krill industry to better protect penguins. "We are pleased that CCAMLR took positive steps to keep some krill fishing away from nesting habitats of penguins, but disappointed that politics trumped the advice from the Scientific Committee to increase observer coverage on all fishing vessels," said Kavanagh. Currently, observers—who independently monitor fisheries' catches and practices—are only found on half of the vessels used by krill fisheries.